Grain whisky is very different to malt but I'll refrain from giving a long intro as many people have given many great explanations already. I bought samples from each distillery still in production, there's only 5. (Not including Loch Lomond, which does Malt and Grain). Let's try 'em! Nose: Light. Alcohol, vodka, column still spirit, a little toffee, a little biscuit, vanilla. After time- There's a lot of artificial toffee and caramel. Taste: Light. Light toffee, light fudge, some spice. Then vanilla and toffee with some young lemon. Still very spirity. Finish: Short length. Burnt toffee, harsh lemon and a little vanilla. 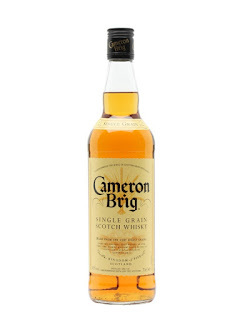 Notes: From Cameronbridge, Diageo owned. Nose: Naked grain, very clean. Young lemon all over it, cleaning fluid, sterile alcohol wipes, vanilla essence, a little artifical toffee. After a while- Sweet Haribo, Tangfastics, sour sweets, melon. Much more fruity. 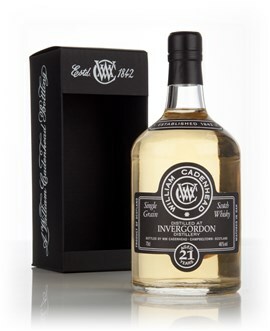 Taste: Soft and smooth arrival, young lemon, a little toffee and natural vanilla, fairy cakes, a little engaging spice note. A little liquorice and aniseed note. Finish: Short length. The spice note takes it away nicely actually. Notes: Nose lets it down a bit, also super expensive (£45) for what it is. William Grant owned. Nose: Quite complex for a grain. Floral clean spirit, active barrel, vanilla pod, toffee, coconut, butter, cucumber water, perfume, men's deodorant. Taste: Soft arrival, quite full flavoured actually. Starts with vanilla and toffee then some spice kicks up with some floral notes and again men's deodorant, clean cherry, a little chalky and dry. Finish: Short length. Smooth and clean with some lemon and a little sweet cherry. 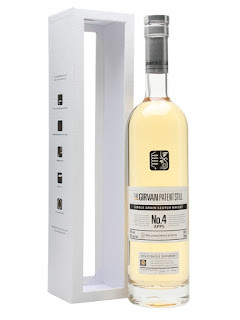 Notes: Bottled 2012 at 12 years, cask 4314. Joint ownership- Diageo/Edrington. Nose: Clean as ever. Clean windows specifically, nail polish remover, surface cleaner, natural vanilla, some natural toffee, fudge, icing sugar, iced buns, vanilla ice cream. Taste: Soft and smooth arrival, clean, vanilla, toffee, a little acetic, lovely spices going on, ginger, white pepper, star anise. Finish: Medium/Long length. Intense flush of toffee and caramel with a creamy spiciness. Notes: Whyte & MacKay owned I think. Nose: Clean, surface cleaner, cleaning fluid, bleach. Water: The Sherry comes out, raisin, raisin juice, PX Sherry, prune, fig. Taste: Rich, Sherry, raisin, then the cleaning products, more toffee and sweet fudge after a second, raisin again, creamy rum and raisin ice cream. Water: Soft and sticky, watery raisin juice and some lemon, some young spirit. Finish: Medium length. More creamy rum and raisin ice cream. Notes: Bottled 2014 at 9 years. From Sherry cask 10867. Pernod Ricard owned. Well, the grains have spoken! Doubt I'll be seeking any of these out again. I'd still like to try some older grains, 30-50 years old maybe.